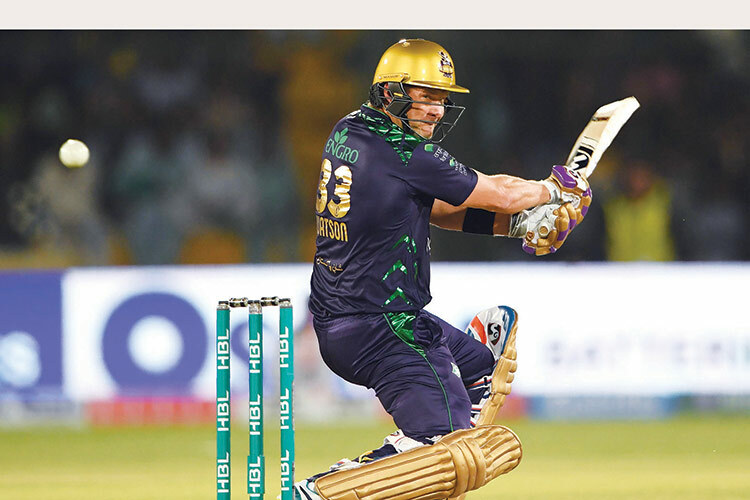 KARACHI: Former Australian all-rounder Shane Watson, who played an instrumental role in Quetta Gladiators’ success in PSL 4, has said he’s taking incredible memories with him from his visit to Pakistan. Talking exclusively to Geo, the 37-year-old star said that visiting Pakistan was an amazing experience and he was looked after very well during his stay in Karachi. This was Watson’s first visit to Pakistan in 14 years after he last visited the country with Australia A team in 2005. After initially being reluctant to visit Pakistan, he agreed to take a flight to Karachi following a detailed discussion with the Gladiators management and his family. Watson said the decision on touring Pakistan was his family’s and he was glad that this time he arrived here to play for Quetta. “It always came down to my family, I talked to my wife and my son who was struggling with me being away. It’s a family decision. My wife has been incredibly supportive, she always has been throughout my career and she tries to make things work. I am glad it worked out,” he said. Replying to a question, Watson said that being part of Quetta Gladiators’ journey has been an amazing experience for him and this is something that will always remind him of Pakistan. “My team, my team-mates,” he said when asked about his best memories from his visit to Pakistan. “I am part of Quetta for last two years and it’s a very special environment. I am certainly taking away so many incredible memories having so many great people as part of the franchise and our win tonight is very special,” he said. Talking about the competition level in Pakistan Super League, the veteran cricketer said that for a batsman, PSL is always tough and challenging. “Competition level is incredibly strong, there is no question about it. From the batting point of view, it is very challenging, every time I go for batting I face world-class fast bowlers who are bowling at very good speeds as well. The spin is also very good. So, it is a huge challenge. I am so grateful that I was able to contribute this year to Quetta’s victory,” said Watson, who scored 430 runs in 12 innings to win the best batsman and player of the PSL awards. He also praised the emerging player Mohammad Hasnain who impressed everyone with his fiery bowling in the tournament. “He is an incredibly special talent. He is always so cool under pressure and for a young guy to be able to bowl that fast and have that much control under pressure is certainly very special,” Watson said. He also spoke highly of Quetta Gladiators captain Sarfaraz Ahmed. “We won, which means we have got great leadership. Saffy knows the team very well, knows the players very well and was able to get the best out of everyone,” Watson said about Sarfaraz, who is also Pakistan’s captain in all three formats.